Explosive data growth is driving IT managers to look for new ways to reduce the cost, complexity, and space requirements of their storage infrastructure. 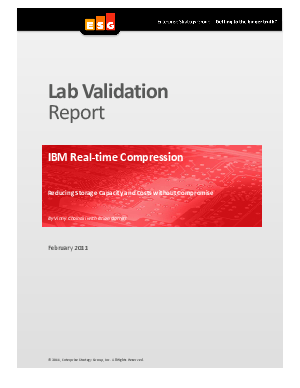 This ESG Lab report examines an innovative high speed data compression appliance from IBM. Hands-on testing is used to demonstrate non-disruptive deployment, loss-less capacity savings, real-time performance, and non-stop fault tolerance.